The Texas A&M Fightin’ Texas Aggie Men’s Lacrosse team has announced their 2019 schedule. 2019 marks the 48th season of the men’s program. Aggie Lacrosse alumnus Ivon Isaac representing! 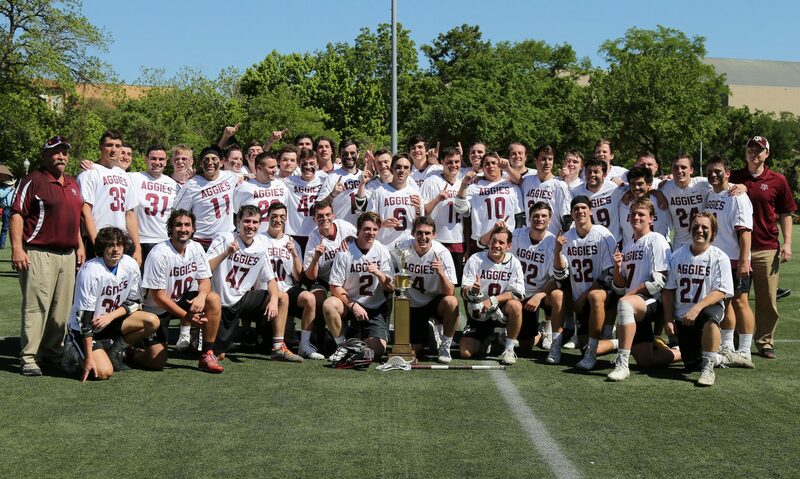 Austin, TX — The Aggies defeated the Oklahoma Sooners on Saturday, 17-11, to secure their first LSA title in ten years. The Aggies entered the weekend as the overall favorites but needed two wins to secure their ticket to Salt Lake for the 2018 MCLA National Tournament. Despite suffering their first two losses of the season A&M remains nationally ranked at #25 in the week 2 poll. The Aggies cracked the top 25 in the week 1 UnderArmor MCLA Coaches Poll. The 7-0 Aggies were voted #23 in MCLA Division 1.